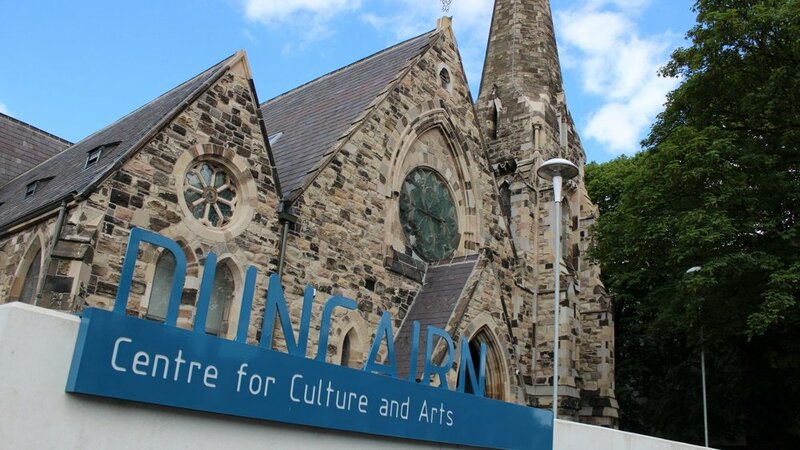 We are delighted to welcome Aisling Ghéar Theatre Company’s exhibition: 20 years of Aisling Ghéar, 20 years of a changing Belfast. The work charts the company’s highlights over 20 years, running in tandem with key events in Belfast’s history during that period. Specifically, on the 16th January, this exhibition will be open to north Belfast secondary schools. 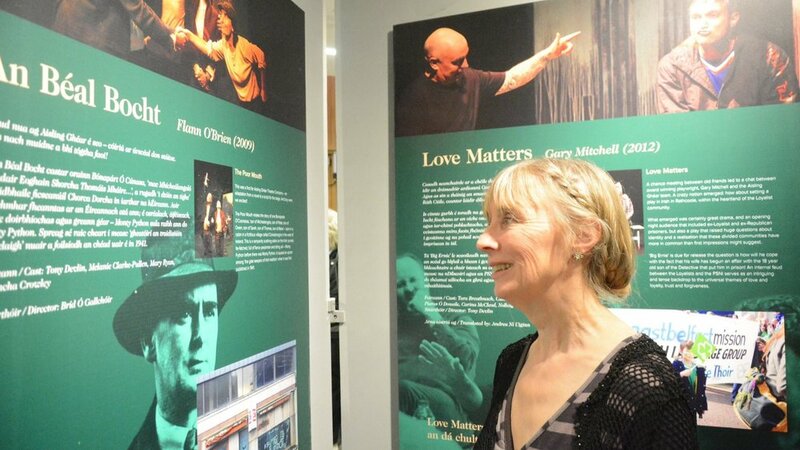 The company will give a presentation about the exhibition detailing the story that Aisling Ghear wish to share, and in support of the presentation there will be a snipet from one of the company’s productions, delivered by local actors who are featured in the exhibition. This event will be bi-lingual and would be suitable for students of Irish, drama and history.